Which is better for Bird Photography the 7D Mark II or the 5D Mark IV? While the 7D Mark II is 3 years older, there are some advantages to it over the 5D Mark IV. Ring-billed Gull, Coronado, CA. f/9, 1.1000 of a second, ISO 640, Canon 7D Mark II and the 70 to 200 f/2.9 zoom lens at 140mm. AF Zone AF slection. There are several things to like right off the bat with the new Canon 7D Mark II; the fast frames per second as mentioned earlier, and the fast acquiring of the subject. I also like the 65 Auto Focus Points and the almost full frame coverage they offer. There are a lot of options with Auto Focus from area points selected to how AI Servo works. I’ll try to explain all of this, and let you know what I do. After 3-months I still like this camera. There are a few things I wish were better, but it's a great improvement over the old Canon 7D. I can live with the other issues because the Auto Focus, Frames per Second, and other features are so useful, and I haven't even started in on the Time Lapse or the Multiple Exposure features! Let’s tackle the easy part of the auto focus first, the seven, yes seven, I know the Canon literature says six, but we’ll go through all seven AF Area Selection Modes. Single-point Spot AF – for pinpoint focusing. This is for that pinpoint accuracy you might want on a stationary shot. The small dot in the middle of square focus point represented in the view finder means the focus point is smaller then the size of a single Auto Focus point. So, if a bird is stationary, perching or if I’m doing some landscape photography with or without birds, I might use this, but I doubt if I will very much. Since it reads such a small area, it will be effective only when there’s plenty of time for the shot. I did use this trying to focus on the eye of a Long-eared Owl last month. It worked well for that, I could have used manual focus, which I would normally do to find the eye through the branches, but tried this new AF point and it worked great. Just one Auto Focus Point is activated, but you can activate any of the 65 points, move the active point around to get just the eye of the bird or the precise point of interest in the frame. This is what I use most of the time for pinpoint accuracy in focusing, and will occasionally use the one above (Spot AF) when it’s a really tight focusing situation. Mostly I see using this one and the next for portraits of birds. One active point and the surrounding four points one top one bottom one to the right and then one to the left assist in focusing. This gives a little more precise control for flight photography and moving birds, for advanced flight photographers. If the birds are moving unpredictably, like Swallows I’d start with AF Point Expansion 8, but probably use the AF Zone. I use this as my default setting for all my bird photography. The main thing to remember is there is one main Auto Focus Point active with four surrounding Auto Focus Points to assist the main active point. When I leave the car my camera will either be setup with this or the next AF Mode. When I first started using this new camera I thought of this as a “small” AF Zone setting, but it works like the AF Point Expansion -- the eight surround points only assist in auto focus they don’t search for the next three cases. I think using this will allow some people to acquire the birds in light a little faster since it offers more assistance points. My go to Mode for fasting moving, unpredictably fight photography and wildlife. 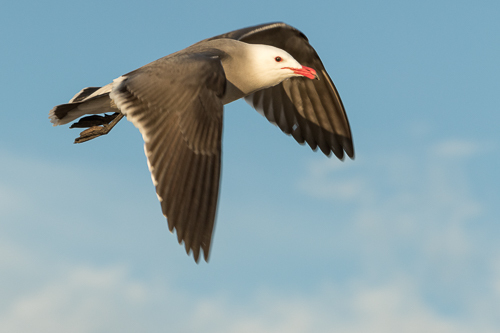 I had good results with this mode in San Diego earlier this month when doing birds-in-flight photogpraphy. When using this AF mode, I also try to shoot at f/8 or a little higher to make sure the eye of th e bird is sharp! The fifteen active Auto Focus Points will automatically acquire the closest subject. The AF Expansion 4 and 8 won’t do this. All 15 Auto Focus Points are active. I like this for flight photography when I can also use f/8 or f/11 and when I’m photographing a flock of birds and I want the closest bird to be in focus. The active Zone can be moved around the 65 AF Pont for composition purposes. I used this for birds-in-flight in San Diego earlier this month and with a slightly the smaller aperture of f/9 it worked great! This is three very broad zones, the left, right or center zones to capture moving subjects. I like this again because it will focus on the closest subject. I’m really going to like this the next time I have a blastoff of Snow Geese or Swans. Consider using this for a large flock of birds, or in the case of some very erratic but fast moving subjects. The closest part of the flocks or subject once it reaches the zone will remain in focus. This might work very well with Case 5 or 6 for Swallows and very fast small birds in flight. All 65 Auto Focus points are active, and the camera will pick up the closest subject. The AF system recognizes the initial subject and follows it even more precisely as it moves around the AF point array. But, it works differently for One Shot Mode and AI Servo Mode. In One Shot Mode, the camera will select the nearest subject and move around and activate points. In AI Servo Mode the camera starts with the photographer selected AF Point then moves around. The default method is press the AF Point Selection button on the upper right side of the back of the camera with your thumb and then press the M-Fn (Auto Focus Area Selection) Button on top of the camera with your index finger. Cycle through the seven modes until you get to the one you want. There are many options for setting this up, but I like this one, I’ve used it enough so I don’t think about where the buttons are, I just change focusing modes as quickly as I need to. This is a good time to mention that it’s not as important which method you use to get the AF Mode you want - what matters is you need to practice so you can change AF Selection Modes quickly in the field while still looking at the subject through the viewfinder! 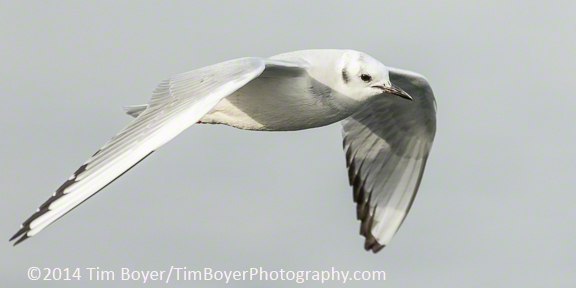 Ring-billed Gull in flight at Coronado, CA. Canon 7 D Mark II and the 70 to 200 f/2.8 zoom lens. 1/1000 of a second, f/9, and ISO 640 at 145 mm. Chose different Cases to enhance the AI Servo Mode for different shooting situations and different types of moving subjects. Each case consists of three variables; Tracking Sensitivity, Acceleration/Deceleration Tracking and AF Point Switching. Tracking Sensitivity deals with what the AF sensor does when it’s tracking and then “sees” another, new subject. Accel./Decel. Tracking deals with the speed and character of the movement of the subject, is the subject moving steadily or is the subject stopping and starting. AF Point Switching deals with how quickly we want the camera to move to the next AF Point. Case 1 -- This is the default multi-purpose setting if you don’t want to change anything. This works well for steady continuous speed and movement. It’s also the recommended starting place for people starting to shoot moving or action subjects. Try this first, then move on to the other Cases. All three variables are set to the “0” or neutral position of their scale or parameter. Case 3 – This case will instantly focus on subjects suddenly entering the AF Points. If might work well for a cycling race when the action shot requires switching from one rider to another, but I don’t think it works very well for bird photography. Tracking Sensitivity is set to +1, Accel./Decel. is set to +1 and AF Point Switching is set to “0”. Canon literature on this Case says “When set to Case 3, if the subject moves away form the AF points, the camera will usually quickly refocus on a different subject or background … So, most birds fly away from us, and then the camera will focus on the background? I don’t think many bird photographers will be using this Case. Case 4 -- This Case is for accelerating or decelerating subjects. Tracking Sensitivity is set to neutral “0”, Accel./Decel. is set to +1 and AF Point Switching is set to “0” as well. The camera will respond to changes in speed, including sudden stops and acceleration. Case 5 – This Case helps with erratic subjects moving in any direction, especially side-to-side. The Tracking Sensitivity is set to neutral “0”, Accel./Decel. is set to neutral and AF Point Switching is set to +1, this modifies the speed in which the AF Points change, so they acquire fast erratic moving subjects. Use AF Point Expansion or Zone AF with this, and I think it will work well for Swallows and other quick small birds. Case 6 – Chose Case 6 for subjects that change speed and move erratically. This is like Case 5 except the Accel./Decel. is +1 instead of neutral at “0”. Again this might work very well for Swallows and fast moving birds. Go to the AF Menu, and select the first sub-menu. The Quick Control Dial can be used to move between Cases. I scrolled down to Case 2, pressed the Rate Button on the left side of the LCD screen, selected the Tracking Sensitivity Parameter with the Quick Control Dial then pressed the Set Button and with the Dial moved the sensitivity to -2. Then press Set again to finish making the selection and save it. Which Case you use or what modifications you make may very well depend on your shooting style. Start with Case 1 to see if that works for you if that doesn't then proceed to how I set up Case 2 with the change to the Tracking Sensitivity to -2. If that doesn't work, try changing Case 3 to Tracking Sensitivity -2, Accel./Decel. to +1 and AF Point Switching to +1. Then if that doesn't work try -2, +2, +2 and see if that works for you. There will be some trial and error to this process. Everyone is different and how we each use our equipment is different. So, I'm using Case 1 as the default, Case 2 with the modification of the Tracking Sensitivity to -2 for my default flight settings, and Cases 5 and 6 for Swallows and other fast moving birds. California Gull, Coronado, CA. 1/800 of a second, f/9, ISO 640 With the Canon 7D Mark II and the 70 to 200 f/2.8 zoom lens. On the fourth AF sub-menu, I changed “Orientation Linked AF Point” Press the Set button and scroll down to “Separate AF Pts: Area+pts. Press set to chose this. This allows the AF Points to be separate when in horizontal or vertical modes. Which means the active AF Point could be at the top of the frame for vertical shots and the active AF Points in the center of the frame for horizontal shots. Also, this means I can have different AF Areas Selection Modes active. I could be shooting Snow Geese in a horizontal orientation and have the camera on Zone AF, then switch to vertical, have the active point at the top of the frame and be in AF Point Expansion (4). On the fifth AF sub-menu, I change the “Manual AF Pt. select. Pattern”. There are two options Stop at AF Area edges or Continuous. I changed my camera to Continuous. This means if I’m moving the AF Points around I can scroll off the right edge of the frame and the active point will show up on the left side of the frame. This allows for quicker movement of AF points around the frame. Heermann's gull, Coronado CA. 1/640 of a second, f/9 and ISO 640. Canon 7D Mark Ii and the 70 to 200 mm f/2.8 zoom lens at 200mm. Zone AF area selected. In this section, we’ll talk about the other camera settings I use that were not covered in Part I when the camera menus were discussed. In Part III we’ll discuss the Auto Focus Selections and Modes. Set the Camera Mode to AV. AV is Aperture Priority Mode, and I almost always use this shooting mode for bird photography and some landscape photography as well. Aperture is one of the main creative controls we have when making an image and it can determine how the images looks and feels almost as much as having dynamic or creative light does. Here are the two main reasons I use AV Mode. For most bird photography I want to have a sharp image and an out of focus background. The easiest way to obtain this is by shooting wide open at f/4 or f/2.8. 80% of the time, or more, I shoot wide open. But, some of the time I want the bird's bill to be as sharp as the bird's eye, so I change the aperture to f/8 or f/11. Selecting a wide-open aperture will give me the fastest possible shutter speed automatically, and I don’t’ have to think about it. Often an image is not sharp because of human or camera/lens movement during the shutter release. Having the camera select the fastest possible shutter speed reduces the chances that the camera, the lens or human movement will impact the image in a negative way. To change the aperture with my index finger, I move it off the Shutter Release Button to the Main Dial wheeland roll the dial right or left until I’ve changed the aperture to the desired depth-of-field or look & feel I want in the image. I like to shoot at the lowest ISO setting I can get, so I’ve been starting the Canon 7D Mark II at ISO 200. Think of a low ISO basically as a high-quality setting and the higher it gets, the less quality there is in the image. At ISO 800 there’s more grain then an ISO 200 setting. At 1600 there is a lot less quality and a lot more grain. ISO 200 is my basic starting point, and I change it, as I need to for either a faster shutter speed or a smaller aperture for more depth-of-field. It’s easy to set and adjust as needed by pressing the Flash exposure compensation/ISO Speed setting button and then rolling the Main Dial to the right or the left. Female Mallard,'What's that noise?" ISO 6400, 1/320 of a second exposure at f/5.6. Change the Drive by pushing down on the Drive/AF Button then using the Quick Dial (thumb) to move between the various modes. I find that I use High-Speed Continuous and Silent Shooting Mode Continuous most often. I usually leave this on the High-Speed Continuous Mode and adjust, as I need to. High-Speed Continuous will give the ten frames per second; Silent Shooting Mode Continuous will give about four frames per second. But, when you’re close enough to the birds that noise matters, four frames are going to be better then none if the bird gets scared and fly’s away. I use AI Servo 99% of the time. I used to spend time changing from One Shot to AI Servo, but now I just leave it on AI Servo, and if I need to compose the bird in the frame, I move the focusing points around in the viewfinder. 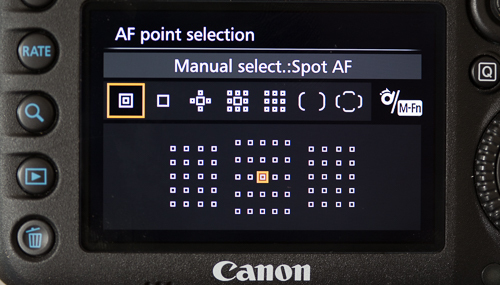 See the AF Point Selection Button section below to see how to move the focus points around in the viewfinder. Pressing the button and then using the Quick Dial with your thumb to move between the various White Balance Selections Cloudy, Shade, Daylight, Auto White Balance (AWB), Flash, Tungsten, and White Fluorescent can change the White Balance. I leave it on Cloudy because I like the warmer tones I get on this setting. In post-processing about 1% of the time, I’ll change the White Balance. There are four metering modes, which control the exposure of your images; Evaluative metering, Partial metering, Spot metering and Center-weighted average metering. I use Evaluative Metering almost exclusively and dial in Exposure Compensation as needed. Adding light if the sky is bright and the is bird dark, subtracting light if the bird is bright and the sky or background is dark. The camera exposure algorithm does a good job of evaluating the scene and making a pretty darn close exposure, but there are times you’ll need to adjust it. By shooting in Evaluative Metering Mode and using Exposure Compensation Adjustments, I can concentrate on composition and acquire the targeted bird rather than make a Spot Metering constantly reading between or before shots. 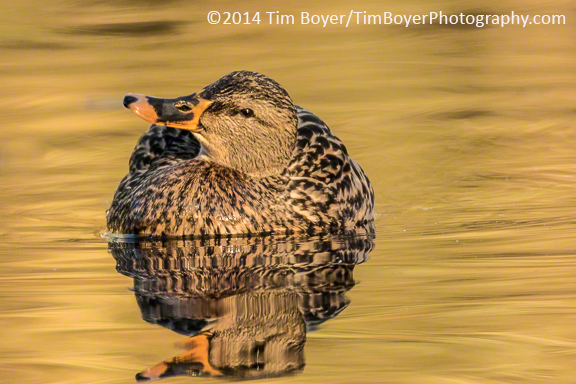 I use Spot Metering for a lot of landscape photography shoots, but not for bird photography. To make Exposure Compensation Adjustments quickly, press the shutter release down halfway, then use the Quick Dial with your thumb to add (move right) or subtract (move left) from the Evaluative Exposure Metering the camera has chosen. Each time this is pressed it cycles through the autofocus modes available. We’ll cover this in the next in How to Setup your Canon 7D Mark II post when it is all about Auto Focus. By pressing this and using the Main Dial to move the focusing points right and left or the Quick Dial with your thumb to move the focusing points up or down you can choose what will be sharp and in focus. Use this to lock the exposure metering when you want to take multiple shots at the same exposure. Then press the AE Lock Button then recompose and take another shot. This turn on the auto focusing when pressed. I don’t use it very often. I activate the auto focusing by pressing the Shutter Release Button down halfway. This is a handy way to change any of the shooting functions quickly. Although I have to confess it wasn’t until I started to do a lot of landscape photography that I started using this. For bird photography, I think its best to learn how to make shooting function changes by feel. By not taking my eye away from the viewfinder, I wouldn’t miss any shots while photographing birds. The next post on How to Setup, your Canon 7D Mark II, will be on auto focusing, Part III. A real review by an in-the-field photographer. I am primarily a bird photographer, so the ASP-C sensor size is a plus for me, so this isn't about full frame versus smaller size sensor. For me it's about shooting action, motion, focusing quickly and accurately and about getting the bird large enough in the frame. Since birds are small, magnification or reach is important. I took the Canon 7D Mark II up to the Skagit to see what it could/would do. Here are a few images and a few lessons learned about this camera. 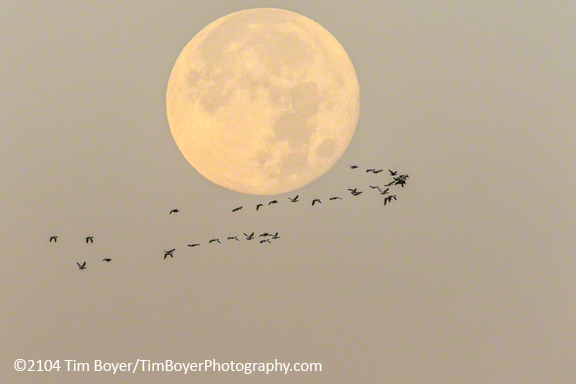 Snow Geese and full moon. 1/250 of a second, f/8, ISO 800, 600 mm lens, 1.4 Extender, Effective focal lenght 1,3444 mm. When I got out of the car at the Snow Goose Preserve I knew it would be a special morning. I just had to wait for it. The moon was bright and gorgeous, the fog was pink, the air brisk, and a little patience was in order. I waited for some birds to fly in front of the moon, and after a while this flock did. If these snows had flown by 10 minutes, earlier the sky would have been pink. Oh well, next time. ISO 800 doesn't seem to matter much; there's a little grain from the higher ISO but there isn't any noise, and I can live with a little old fashion Ektachrome look every once in a while. Canon 7D Matk II, 600 mm lens, !.4 Extender, 1/1000 of a second, f/5.6, ISO 500. The Rough-legged Hawk was pretty far away. Even with an effective focal length of 1,344 mm I still had to crop this by about 40 to 50%, but it shows what the new camera can do. That, and it was the first Rough-legged Hawk I saw this year in the Skagit, so I felt like I just had to get a shot of it. Dunlin & Black-bellied Plover. 1/160 of a second, f/45, ISO 4000, 600 mm lens, 1.4 Extender. Not my best shot, but I include it to show what f/45 at ISO 4000 and a 600 mm lens looks like with the Canon 7D Mark II. Typically at f/4 or even f/8 there is an inch of depth-of-field, at f/45 there's about a foot. If I could have gotten on the other side of them and they weren't backlit, well then it could have been an okay image. I'd still have a problem that they're in the mud etc. but you can see the possibilities. Oh, and I'm pretty sure this is the first time I've taken and shown an image at ISO 4000 and f/45! Great Bue Heron, 1/320 of a second, ISO 200, f/8, 600 mm, 1.4 Extender. As I pulled up to this Great Blue Heron jumped up and started flying off. I got off a couple of quick shots. The Canon 7D Mark II acquired the bird quickly and the ten frames per seconds functions are what allowed me to get a few images. If I had been shooting the Canon 5D Mark III my other camera, I simply would not have gotten any images at all. Not the best image, at f/8, with the Extender, the smaller camera sensor, and the shooting angle from the road, all made the background a little too much in focus and thus distracting, but again you can see the potential of the new camera. Red-tailed Hawk 1/400 of a second, ISO 200, 600 mm lens, at f/4. So with just the camera and the 600 mm lens, the effective focal length was 960 mm. That's a lot of reach when a big bird like a Red-tail is just across the road. Okay, I've had the camera about ten days, and I still like it. I'm going to be using it as my primary bird photography camera with the 5D Mark III relegated to landscapes and a backup bird camera. The autofocus is fast, the ten frames per send are fast, the autofocus is everything Canon said it would be, the new sensor is pretty darn good. One thing the extra reach of a smaller ASP-C sensor will do for bird images is the photographer doesn't have to get as close, so the birds appear in a more natural stance, they aren't all hunched over ready to launch themselves away from the perceived threat of a photographer. Hope this helps you if you're trying to decide if this is the camera for you. This is part one of at least a three part series. This is the basic menu settings and which ones to turn on, off or how to set them. Part 2 will cover all the remaining camera settings, and then Part 3 will cover Auto Focusing. We’ll go through the menu functions of the camera, so you're set up for bird photography. I'm assuming that you've followed the Quick Reference Guide and you've charged up your battery, and you're ready to go. Turing the camera on and Press the Menu button. (The Red Menu or the Camera Icon on the left side of the menu bar on the LCD.) There are six sub-menus we’ll talk about each one and changes we need to make. Select Image Quality by pressing the Set button, located in the center of the Quick Dial on the back of the camera. This will bring up RAW and JPEG settings. Use the Main Dial with your index finger, and move it to the right until the RAW is highlighted in the red box then press Set. Adobe does not support the camera RAW format of the new Canon 7D Mark II yet. So to see your images you’ll have to use the Canon Utilities and software that came with your camera. Press the Set button and with a Quick Dial scroll down to four seconds. The reason I use four seconds is that the image will flash up on the screen and allows me to quickly check the exposure and the composition without using too much battery life. Choose 8 seconds if you’d like more time. Push the Set button and scroll down to disable. If you leave this Enabled, when you’re in One Shot Mode, the camera will beep when it acquires focus. I find that this noise often scares birds, or makes them go into an unnatural looking alert posture. Disable, you don’t want to take pictures unless there’s a card in your camera. There are no other changes on this menu, use the Main Dial with the index finger moved to the right to go to the second Shooting Menu screen. Common Merganser female, ISO 2000, 1/640 of a second, f/8 Canon 7D Mark II, 100 to 400 mm zoom lens, 1.4 Extender. Select White Balance by pushing the Set Button in the middle of the Quick Dial. Scroll down to ISO Settings hit the Set button. Then scroll down to ISO speed range and set it to 100 to 16,000. Hit Set, scroll through and then hit OK. Then push the Menu button to get back to Shooting Menu, screen 2. Press the Set button in the middle of the Quick Dial, then use the Quick Dial to scroll over to the Cloudy setting and then press Set. I set my camera to Cloudy White Balance so that my images appear a little warmer. I do this because I used to shoot Kodak VS and Fuji Velvia slide films – these were very warm films, and I liked the way these films looked, and I still like my pictures that way. If you don’t like the warm tones, then leave White Balance to Auto. It’s a personal preference. Press the Set button scroll down with the quick dial to Adobe RGB press set the Menu button to go back to the Shooting Menu, screen two. Use the Main Dial to go to the third Shooting Menu screen. It starts with Picture Style. We aren’t making any changes here so use the Main Dial one more time to go to the Shooting Menu, screen four. Push the Set button; scroll down to Enable, and then push the Set button again. Scroll down to Enable and press the Set button again. There are no other changes on this fourth screen, so use the Main Dial to move to the Shooting Menu, the fifth screen that starts with Live View Shooting. There’s only two change on this screen, scroll down to go Continuous Autofocusing, press the Set button, then scroll down to Enable, press Set again to select this option. I chose to leave this off; I don’t use the grid as much as I use the Focusing Points in the viewfinder to keep things level etc. I like a clear, uncluttered viewfinder. With the main dial button Main Dial wheel scroll to the sixth menu, we make no changes there. With the Main Dial move it to the right to get to the next Menu. The AF Menu is fuchsia colored and, well it says “AF”. Autofocus menu, for now, we’ll leave this on Case 1. In part 3 of this How To Set Up Your Canon 7D Mark II For Bird Photography, I’ll spend a lot of time on the Auto Focus Modes and these Case Options. Main Dial click to move past the second and third AF Menu screens there are no changes to these two now. Scroll to the fourth AF Menu screen, it should be the Lens Drive when AF impossible. Leave this ON. Scroll down to Selectable AF point I have all 65 points selected as the default. Use the Main Dial to go to the fifth screen for the AF Menu; there are no changes at this point. There are no other changes on this menu, leave the defaults activated. Commom Merganser, male. ISO 2000, f/8, 1640 of a second, Canon 7D Mark II, 100 to 400 mm zoom, 1.4 Extender. Auto focus with central sensor only. The Playback Menu which is the arrow pointing left to the right it's the blue menu system. We don't make any changes on those until we get to the third screen and it says Highlight Alert. Highlight Alert We want to Enable Highlight Alert. This gives us the “blinkies” on the LCD when part of the image is over exposed. Press set scroll down to enable press that again you want that enabled autofocus point that's the only change their click the Main Dial over to the right which is the Setup Menus. These are the Wrench icon and are in gold. On the first screen scroll down and change the File numbering, set it to Continuous. Auto Rotate This should be set to ON for both the camera and the computer, you should see both icons. Move to the next Setup Menu screen number 2, by using the Main Dial wheel. Set the Auto Power Off to 30 minutes. This leaves the camera on, for 30 minutes, so you’re ready for any action and don’t have to power up just as the birds fly by. Date/Time/Zone press Set you can scroll through and choose the month, the day, the year and then the time. Scroll through and then you can pick your time zone. Which you should also change if you travel to a different one so your camera records the correct times the image was made. Language I guess the default English works. Viewfinder Display I don’t make any changes here, I like an uncluttered viewfinder, so I keep things to a minimum. Use the Main Dial to scroll to the third Setup Menu. Third setup menu starts with video system I don't make any changes on this screen. Use the Main Dial to get to the fourth screen, scroll down to Copyright Information. Press the Set button scroll down one more time you can enter your name in the Author's Name area. The “Q” button allows you to move between the letter selection box and the entering box to came corrections etc. Once you have entered your name press the Menu button, then use the Quick Dial to move to “OK,” then press the Set button. Enter data the same way as above, if you want to. I prefer to have Lightroom 5 put in my copyright information when I import the images, rather then have my camera do this. Use the Main Dial and scroll over to the Custom FunctionsMenu with the orange set of menus and that's a little camera with that looks like exposure bracketing symbols underneath of it. No changes on any of these five screens. You’ve finished setting up the Menu selections on the Canon 7D Mark II. I’ll have Part 2 the remaining camera setting out soon. Then I’ll do Part 3 the Auto Focusing options with the Canon 7D Mark II. These are my first images with the new Canon 7D Mark II. If you have this camera the first thing you need to know is Lightroom 5 or any Adobe product will not be able to download and preview a RAW file. You will need to shoot RAW & Large JPEG or use the Canon Utilities to convert images into tiff files. Adobe will have an update shortly. Probably pretty soon since so many photographers have pre-ordered this camera. 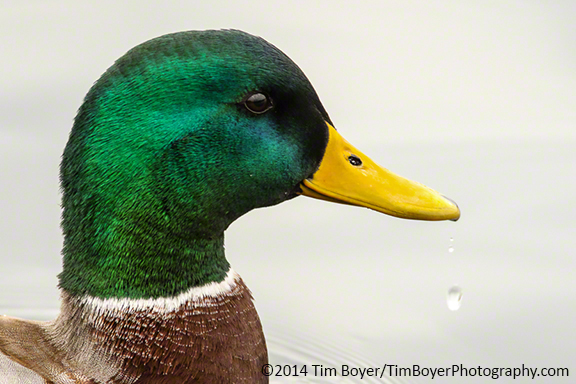 Male Mallard on a cloudy November 2nd at Renton, Washington's Gene Coulon Park. Image created at ISO 800, f/6.3, 1/200 of a second. I was using the 7D Mark II and the 600 mm f/4 lens with a 1.4 Extender. I like the drop of water below the bill. A little post processing in LIghtrRoom 5, but no noise reduction. This Horned Grebe was again created at ISO 800, something I never would have done with the older Canon 7D. No noise reduction slight processing of the tiff file in LightRoom 5. 1/500 of a second, f/6.3. Female Mallard 1/160 of a second, f/6.3. She was in the shade, and this would have produced some noise in the older 7D, but nothing here, with the new 7D Mark II. This Crow image was created at ISO 1600, 1/200 of a second at f/8. Again with the 600 mm f/4 lens and the 1.4 Extender. Cloudy day, best kind of light for a black bird, but I also was pleased - again - no noise. Nice! I had some time to experiment with a resting Mew Gull. The first one is ISO 800 at 1/800 of a second as f/6.3. It's a little soft, but not bad for a cloudy day. Mew Gull ISO 6400! Created at 1/6400 of a second at f/6.3. Okay, it's a little softer, but there was no noise reduction, and it was shot at ISO 6400. Something I never would/could have even tried with the older 7D. So far I like this camera. Fast ten framed per second, a lot faster than the 5D Mark II I've been using, and a very noticeable difference. Not very much noise, kinda like the 5D Mark III. I noticed the autofocus was faster than the older 7D, and I think faster than the 5D Mark III. Acquiring birds was very quick. So, I'm very happy with my first day of shooting with this camera. Now I'd like to go out and get some nice birds in some great light.